You're going to simply LOVE Abi and Justin Stumvoll. IF anyone... and I mean ANYONE that I know understands the Love of God, it is this wonderful couple Derene and I are proud to call personal friends. Grab a cup of coffee, sit down and enjoy learning more about how to love others in the Power and Love of the Holy Spirt. I mean it when I say, "ENJOY!!" If you're having trouble viewing this video, please click here. 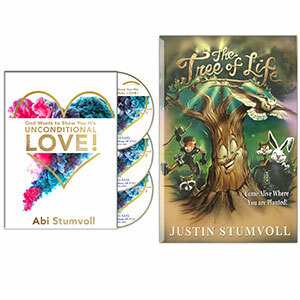 Justin Stumvoll’s book: “The Tree of Life” and Abi Stumvoll’s 3-CD set—which will help you discover through all the trials and trauma – just how God will lead you to His unconditional love for yourself and for others! On these amazing CD’s—Abi Stumvoll is extremely transparent in her ministry message and brings humor to real life issues! She is not afraid to share her vulnerabilities, her wounded past, and how far God has brought her – to a place of receiving His unconditional love and joy! 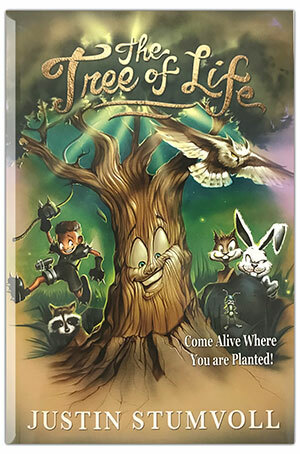 Don’t miss out on this sensational package by Abi & Justin Stumvoll made exclusively just for you – our Elijah Streams viewers! This package is all yours for a donation of just $39 dollars. Shipping and handling are included. To order by phone, call the toll-free number listed below, or to order online CLICK HERE. If you are being blessed by this or other Elijah List Ministries videos, would you be so kind as to stop right now and consider making a tax deductible financial gift today? Just click on the link(s) below. Derene and I thank you IN ADVANCE. Bless you!